Before I start, thanks for all the comments and reads, my apologies for not replying for a week. Going back to work was like stepping into a tornado but now I have a long weekend to catch up on the trip before all the details disappear from my memory. 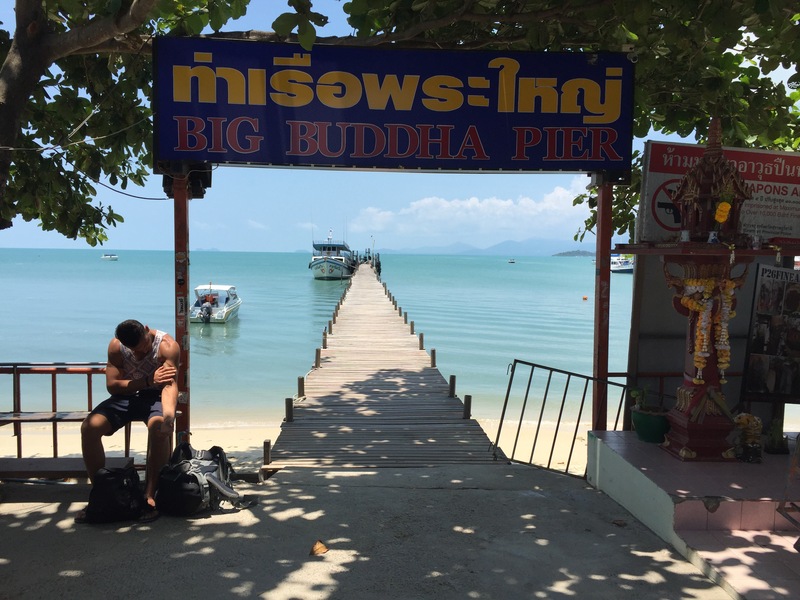 Because it was Zane and Leah’s first big trip overseas, I thought it would be good to spend a night on Koh Samui before catching the ferry to Koh Phanang as Samui is bigger and livelier and worth seeing for comparison to Bangkok and the quiet beach we were heading to. 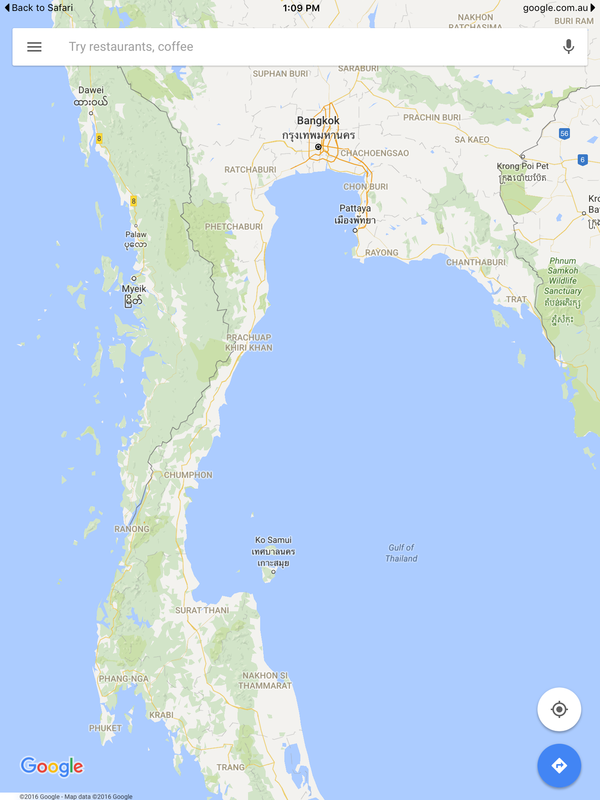 We flew from Bangkok via Bangkok Air and arrived at Samui airport an hour later. 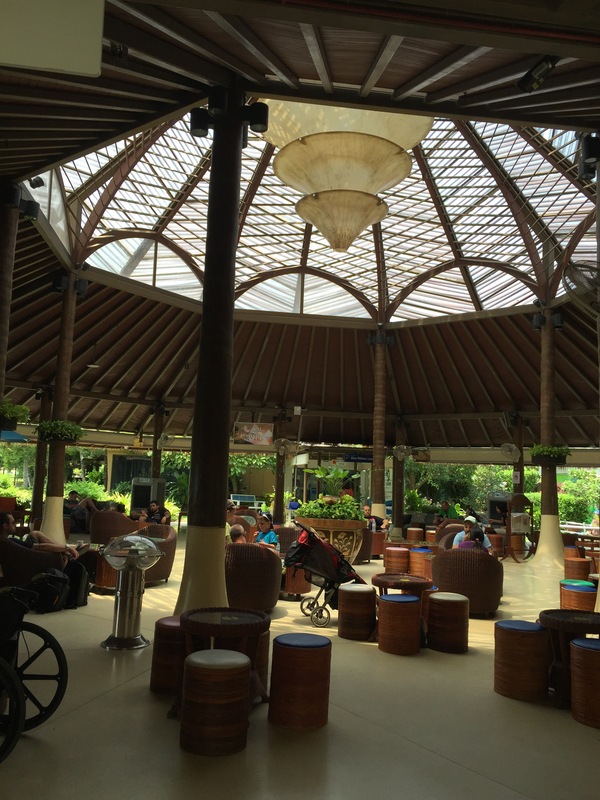 Samui airport is one of the world’s most beautiful. 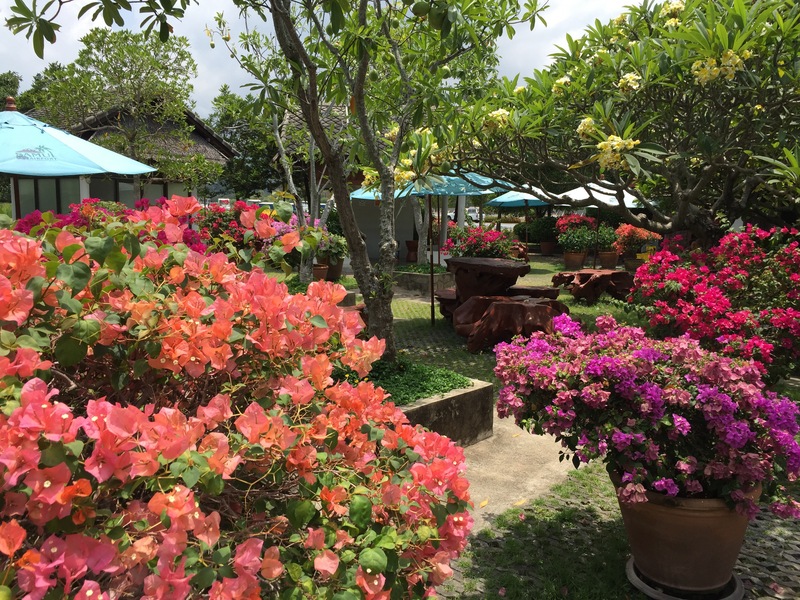 There are lush gardens around all the waiting areas and everything is open-air. There’s fish tanks in the bathrooms and it just feels so laid-back. The departure lounges for Bangkok Air also do free food including popcorn – my favourite! 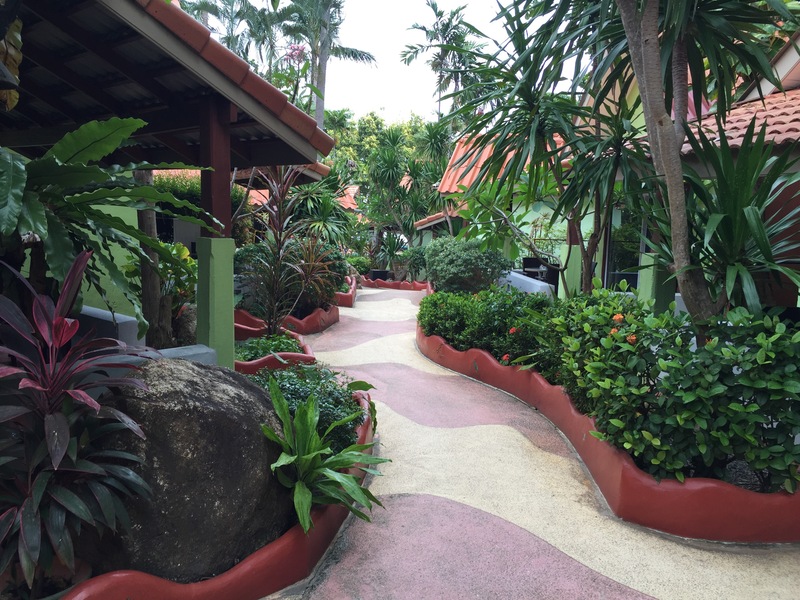 Anyhow, the trip was uneventful and Luke organised a couple of taxis to take us to our hotel for the night – the Chalala Samui Resort. The place was nothing fancy, basic little bungalows with ensuites and aircon, a pool, bar and restaurant right on Chaweng Beach (if you’re curious, I think it was about $40 AUD a night). 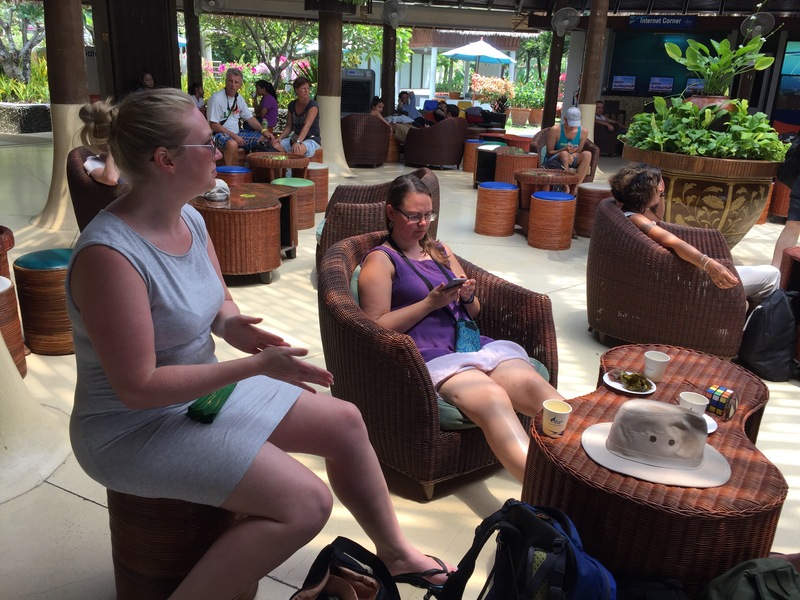 Sorting the rooms took a bit of time but then we all jumped straight in the pool and set about enjoying the happy hour prices at the bar and relaxing in the sun. I relaxed a little too hard and got my first and worst sunburn of the trip while lying on a lounger reading a magazine. It wasn’t awful, but it made sleeping on my back a bit difficult for the next few nights. Samui was such a lovely change from the rush and pollution of Bangkok. We sat in the lukewarm pool, drank cocktails and began planning a future, mid-winter trip back. I could do it every year, just to lie in the sun, swim and relax. The Chalala was at the northern, quieter end of Chaweng so it was an easy walk down to the strip of shops and bars but far enough away to be quiet. 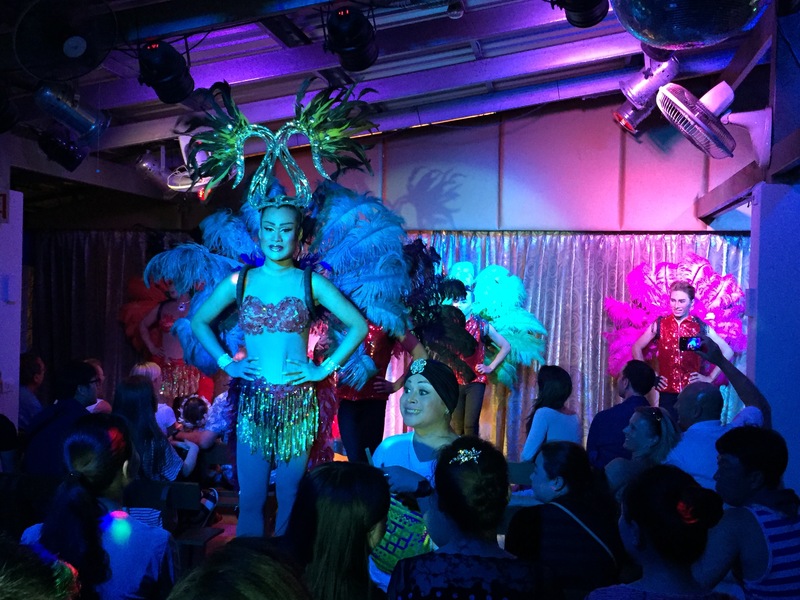 In the evening we walked down the street to see a ladyboy show at Stars Cabaret – the same place we went last time with Luke’s family. The songs were good but the show felt shorter and I was extremely disappointed when no boys were dragged onstage to dress up and perform (last time Luke and Brendan went up and I laughed so hard I cried). After the show we crossed the road and walked down to the Ark Bar to see what was going on but it was very quiet, with people lying on loungers watching a fire twirling show and not a single sax solo to be heard. We did laugh at the fact that the song playing was ‘Apache’, as Luke had been tormenting me with it before we left home and then there it was, playing at the trashiest resort on the island. Luke, Kupp and a few others hung around but Charmaine and Toby and I walked back along the beach to the bungalows for an early night, trying not to break our ankles falling into the dozens of pits left by hotel staff when the umbrellas for beach restaurants are taken in for the night. Always take a torch if you have to walk home after dark! In the morning Nicolette took the lead for the next part of the journey and we packed up our gear and headed to Big Buddha Pier for the ferry. I only just noticed the guy in this photo checking out his own muscles. 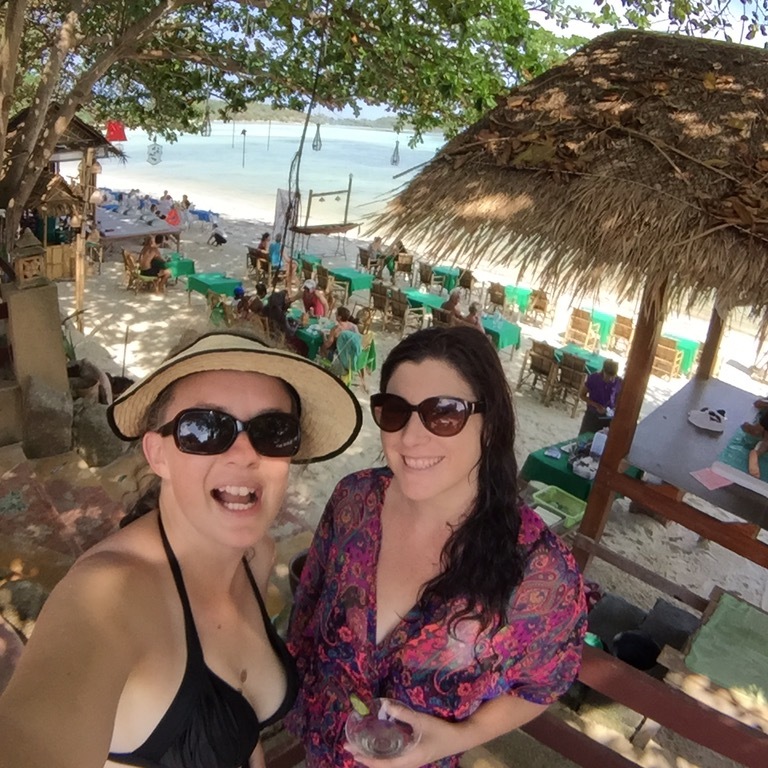 Stay classy, Samui!